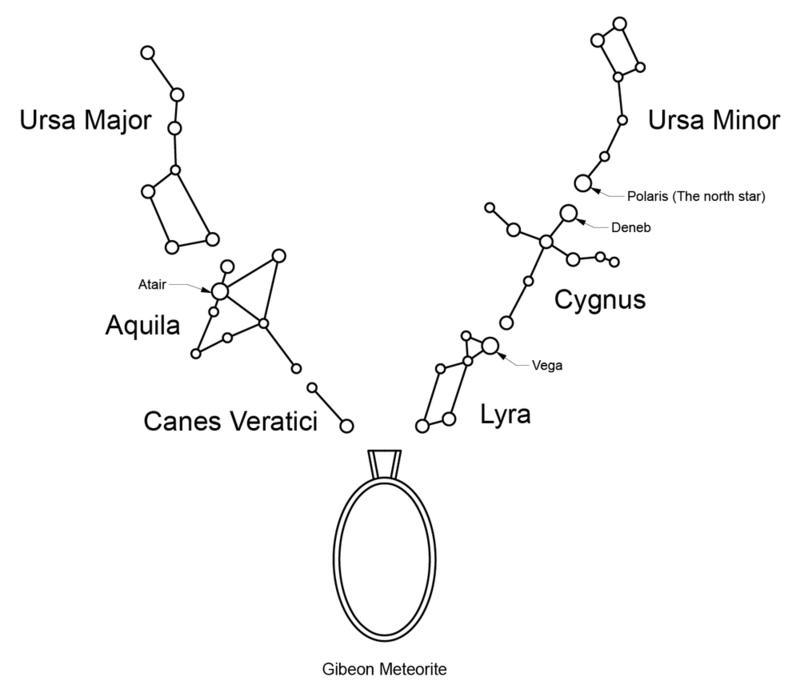 Ursa Major and Ursa Minor are perhaps the most well-known summer constellations, as they are both relatively close to one another in the sky, and Ursa Minor has the ever so important North Star at the end of its "tail." The next three make up what is known as the Summer Triangle. I made sure to mirror the placement of these three, along with the placement of the two dippers accurately in the links of this necklace. Attached to this document is an illustration that labels each constellation, along with the brightest star of each. The stones that represent each star are 2, 3, and 4 millimeters in diameter. The size of each stone is not random, it is determined by the brightness of each star in the sky. For example: incredibly bright stars such as Polaris and Altair are large 4mm stones. 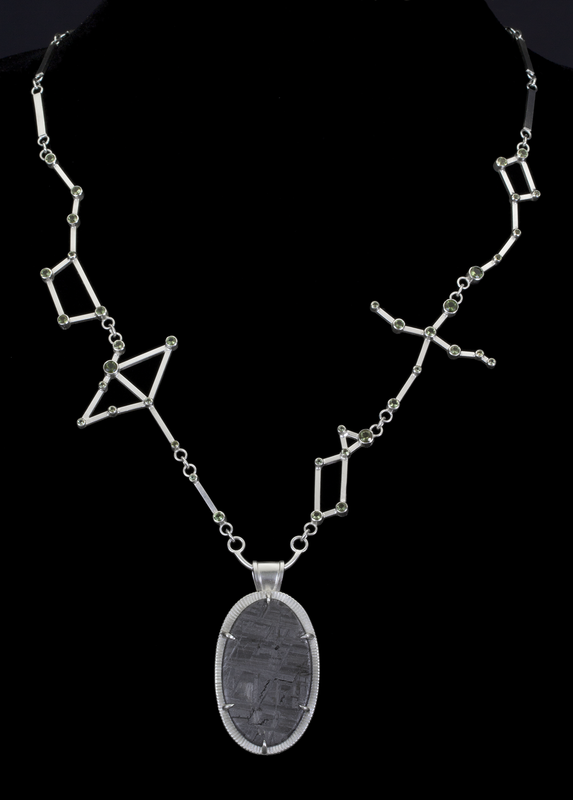 The particular stone that I chose for these "stars" is faceted Moldavite: a clear, olive green, glassy looking stone. (Though calling it a stone is somewhat of a misnomer; they are actually more like glass.) This material was chosen due to its extraterrestrial origin: when a meteorite hits the earth in a place with lots of sand, the escaping vapors merge with the heat, pressure, sand, and the force of impact to create this glass like substance. 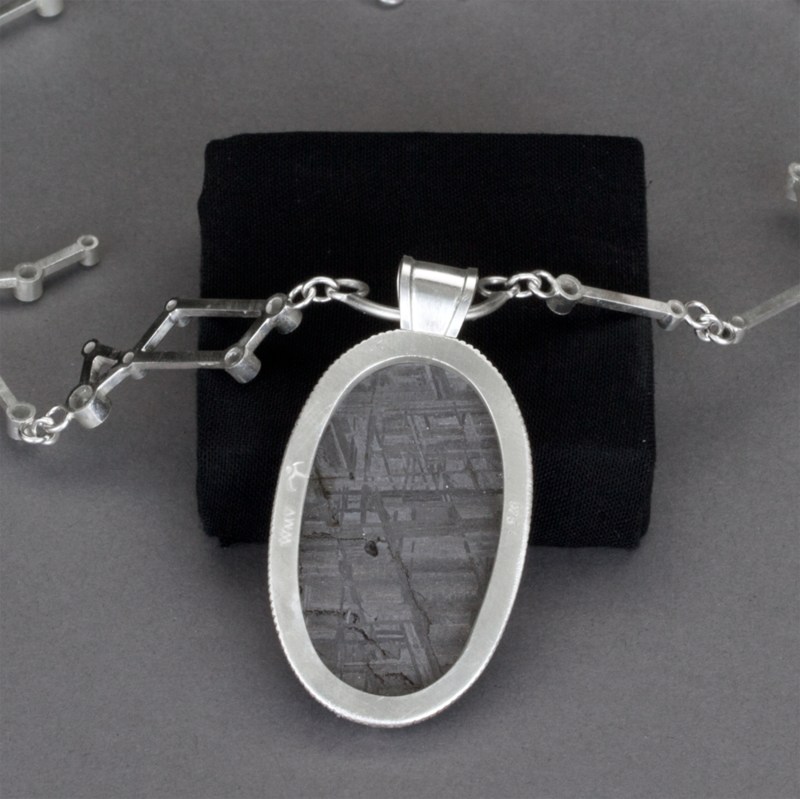 The big cabochon in the center of this necklace is a piece of meteorite that I cut, ground, shaped, and polished. This particular specimen was once part of the colossal “Gibeon” meteorite which hit the earth over 30,000 years ago. It is made out of mostly iron, but it has some trace amounts of nickel as well. 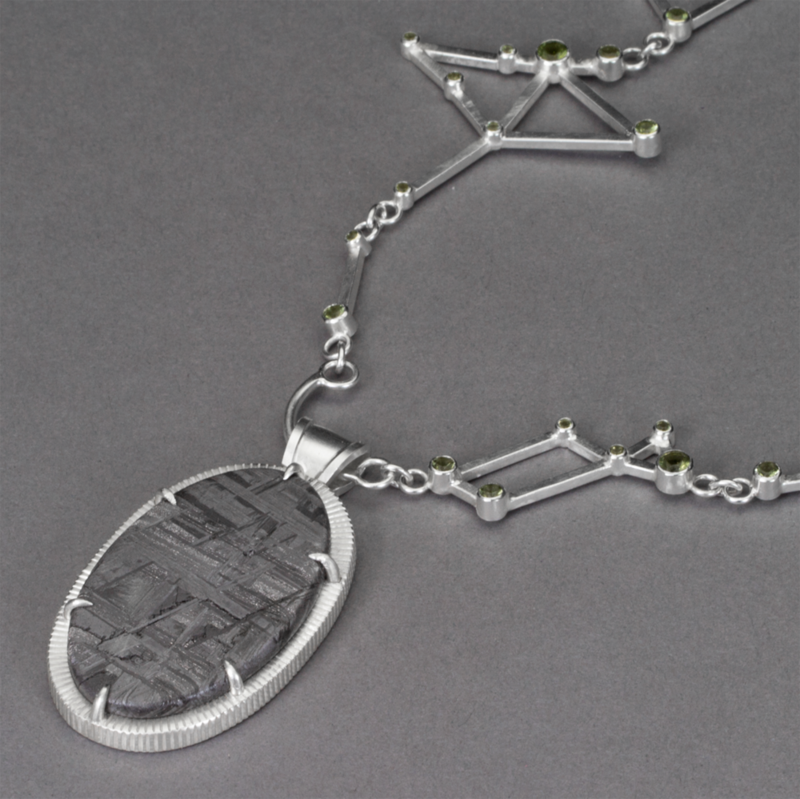 In May of 2016 this piece won first place in the International Precious Metals Institution's annual silversmithing competition, and was auctioned off.